Teachers are under a staggering amount of pressure. Each year they are asked to get better results, with larger classes, and without the resources to leverage personalized learning. How can we effectively evaluate them, is it even possible? 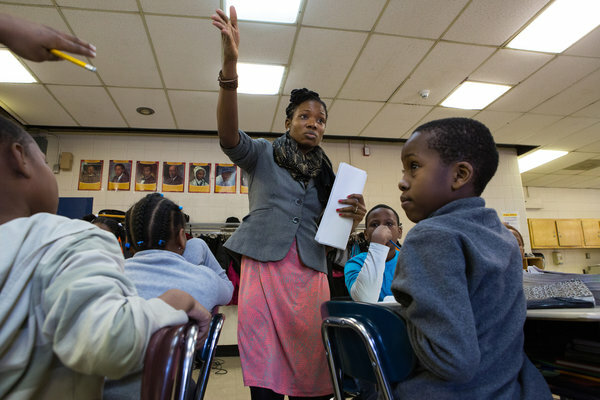 Should teachers in wealthy districts be evaluated differently than teachers in under-resourced districts? Should evaluations be based on student test scores, portfolios of student work, or something else entirely? The New York Times recently ran an Op-Ed about the status of teacher evaluations in New York (see article below). What is your opinion? Share it in our comment section! LAST month, at the urging of Gov. Andrew M. Cuomo, New York’s Board of Regents suspended the use of state tests to evaluate teachers. This is a wise first step, but it won’t improve our schools unless we go further and build a professionalized system of support that views teachers as learners and challenges them to improve their classroom practices. The national push over the last decade to strengthen how we evaluate teachers was rooted in studies that suggested that consecutive years with an ineffective teacher did lasting damage to a child’s life chances. In response, many teachers’ evaluations have been tied to how their students perform on state tests. In 2010, New York began to develop a new teacher evaluation system, new tests and curriculums aligned with the Common Core standards. Most teachers agree that the standards are a step forward, because they ask students to think critically, write persuasively and solve real-world problems creatively. But New York’s tests are still dominated by multiple-choice questions that don’t measure this deeper learning. In many parts of the state, teachers did not have time to adapt their curriculums before new tests were used to evaluate them.